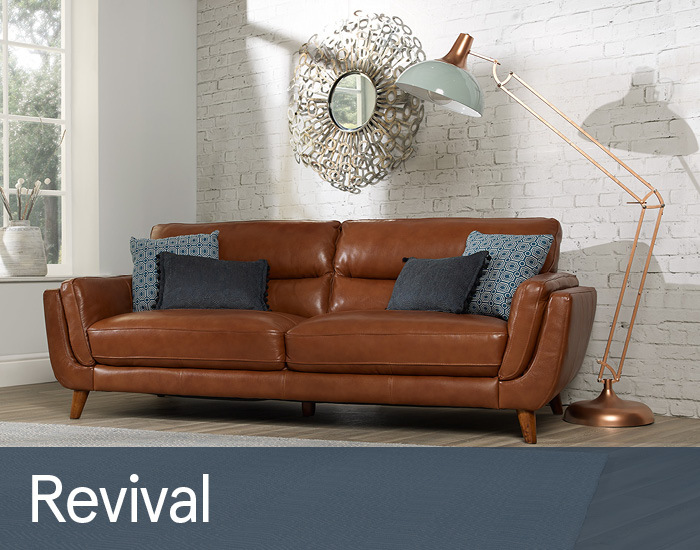 Slim tapered arms and on trend splayed retro legs give Revival its stylish mid-century appeal. Neatly upholstered in luxurious semi aniline its simple, clean lines will enhance any contemporary living space. Its generous high backs, integral lumbar support and pocket sprung seating give it a comfort unmatched in this category.